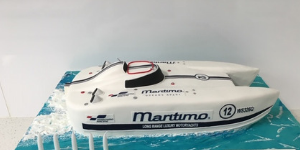 Whether it’s a novelty birthday cake or more a traditional cake for your special birthdays from 1 to 100, Cakes by Kerrie will help you design that perfect cake for your special someone – after all, it is a reflection of who they are, right!! 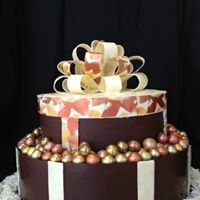 We know you want it to be a very special occasion, so we here at Cakes by Kerrie will help you create a masterpiece for your someone special on that. We have a range of flavours to choose from, as well as a range of finishes and decorations. 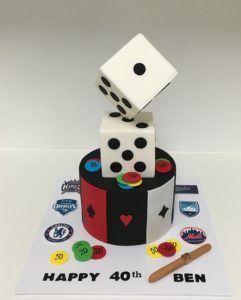 You can choose a traditional, modern or novelty design to reflect that very special someone in your life and their very special milestone birthday. You are only limited by your imagination. See our gallery for some of our favourites. The more traditional cake is the “baby shower cake”. The latest trend for baby shower cakes is cupcakes decorated in pink and/or blue on a white finish with edible sugar decorations, e.g. baby feet and baby accessories. A modern version on the baby shower cake is the “gender reveal cake”, where the inside cake colour reveals the gender of the baby, e.g. colour of cake or small lollies inside the cake with a white finish outside. This is a fun way for the mum and dad (if they don’t already know) and their family and friends to be told the gender of the baby. 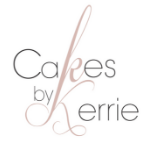 Whether you want a traditional baby shower cake or a modern gender reveal cake, here at Cakes by Kerrie, our very talented and experienced cake maker, Kerrie, will be happy to discuss your ideas. 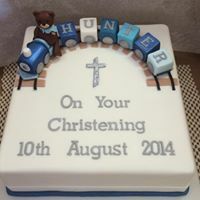 Whether you need a Christening cake or a Naming Ceremony cake, or a cake for a celebration of Holy Communion or Confirmation, et cetera, our very talented and experienced cake maker and decorator, Kerrie, will help design and create the perfect cake for your special occasion. Your milestone anniversaries are important to us here at Cakes by Kerrie. 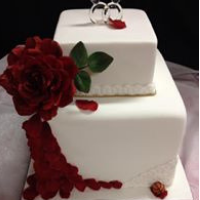 Our cake designer and decorator, Kerrie, has years of experience making anniversary cakes and will help design the perfect cake for your special anniversary. 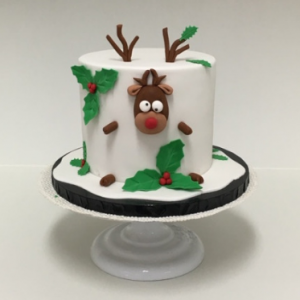 Our traditional fruit Christmas cakes made with fruit soaked in rum (Grandma’s favourite recipe) and decorated with fondant finish are very special to us here at Cakes by Kerrie. More on trend are chocolate mudcakes covered with ganache and finished in fondant (decorations to be discussed). A novelty Christmas cake is also a great addition to your Christmas table, and a bit of fun too! 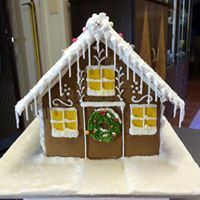 Our cake maker and decorator is very experienced in making and decorating both the traditional and more modern Christmas cakes. Calling all corporate and local businesses, do you have a special event coming up? 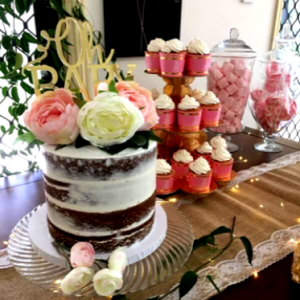 Why not let our very talented and experienced cake maker and decorator, Kerrie, prepare a traditional or modern cake finished and decorated to suit your corporate or local business event.